In the 1970`s, Takanori Fukushima embarked on a lifelong journey as a neurosurgeon. From then on, he originally devised many minimally invasive procedures and has been doing surgery at a phenomenal pace. The large number of successful surgeries that Dr. Fukushima has accomplished leaves footprints in the hearts of many. He puts it in this context, "The point is to always carry out the surgeries just once without putting much burden on the patient and with no complications. Just one surgery for cure”. His attitude is proof that he is consistent in his medical care. Dr. Fukushima was the chief of neurosurgery at Mitsui memorial Hospital from 1980 -1990. By the age of 48, Dr. Fukushima achieved a number of neuroscientific research works and published over 100 scientific articles, including clinical papers. 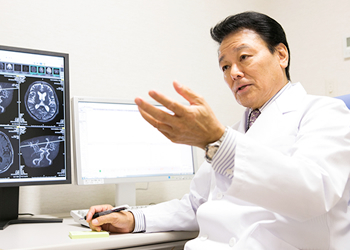 Dr. Fukushima was well recognized as a top neurosurgeon in Japan. In 1989, he accepted a cordial invitation from UCLA neurosurgery as a visiting professor continuum. In 1990, he received another invitation from USC medical center for a full time Professor of neurosurgery and offered the position as Director of the skull Base Center. In 1991, Dr. Fukushima moved from Tokyo to Los Angeles USA and accepted the USC position. 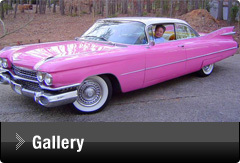 Continuing his clinical practice in the United States, he treated more than 600 patients every year for over 30 years. (USA : 250 people , Japan : 300 people , Europe / South America Other : 50 people ) He performed 24,000 cases of surgeries and has continued to keep that the main focus in his life. Many of those patients are completely cured with one procedure and some seek out for help due to complications in the first surgery made by other doctors. "Keyhole Surgery" is a surgery that Dr. Fukushima developed. It is a surgical technique where a small hole (about the size of a 10 cent coin) is drilled on the head and the affected area is operated on with the use of a microscope. Keyhole surgery is considered as the best technique for the patients because the recovery is reduced significantly compared to a conventional craniotomy. It has received great feedback from patients worldwide. Dr. Fukushima has been hailed by patients as "The man with the hand of God " and "The Last Hope." Graduated from the University of Tokyo School of Medicine in 1968 and began his neurosurgical training at the University of Tokyo Hospital. Developed the world's first neuroendoscopy in his first year of residency and gained the attention of the world at the age of 27. Associate of the University of Berlin Steglitz Clinic Neurosurgery Research of Germany, and the U.S. Mayo Clinic Neurosurgery clinical research. He served as an assistant at the University of Tokyo Hospital Neurosurgery from 1978 to 1980. In 1980 he became the director at Mitsui Memorial Hospital Neurosurgery. Dr. Fukushima participated in establishing the skull base surgery program at the UCLA Department of Neurosurgery from 1989-1990. He was appointed to the University of Southern California Medical Center, Professor of Neurosurgery in 1991. The U.S. granted him a permanent residence visa. In 1994, he served at the Pennsylvania Medical College Allegheny General Hospital as a Neurosurgery Professor and a director at the Institute of Neurological Surgery at Allegheny Skull Base Surgery Center. While touring all around the world for surgery and lectures, he holds skull base surgery training seminars. He became a Professor at Duke University Neurosurgery and started Carolina Skull Base Surgery Center 1998. Currently, he founded Carolina Neuroscience Institute. 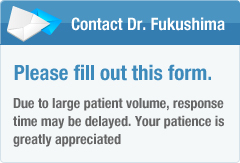 Dr. Fukushima is described by many as "The nation's top influence" of neurosurgery microscopic surgery. He is a visiting professor at the Karolinska Institute in Sweden, Honorary Professor of the University of Marseille, France, University of Rome, Italy.